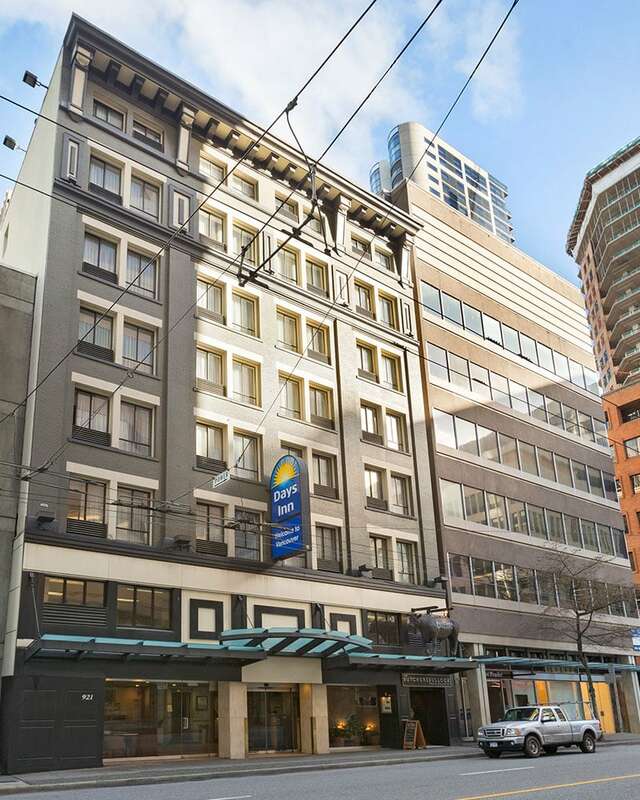 Welcome to Days Inn Vancouver Downtown, located right in the heart of Vancouver. 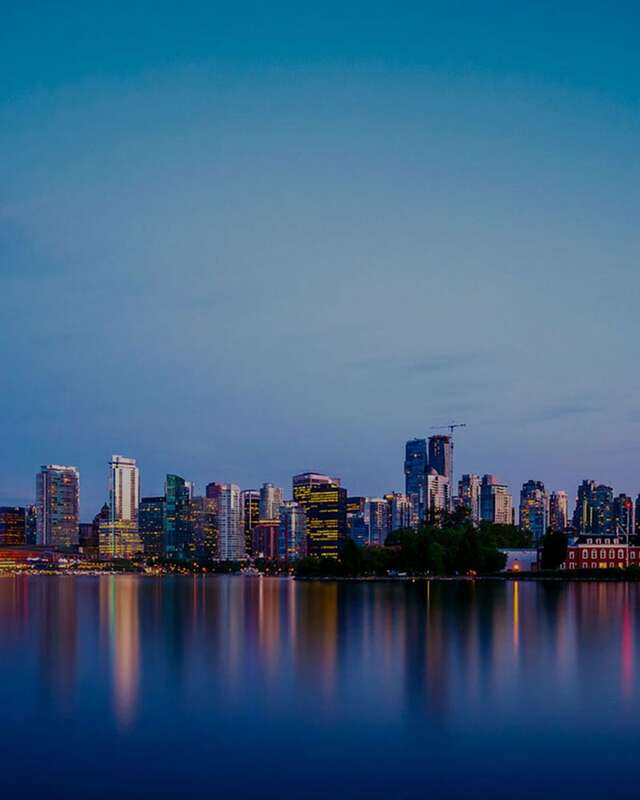 With easy access to Gastown, Coal Harbour, Stanley Park and more, Vancouver is truly at your fingertips. Located in one of the most beautiful cities in Canada, the Days Inn Vancouver is an affordable choice when you are looking for convenient hotels in downtown Vancouver, BC. 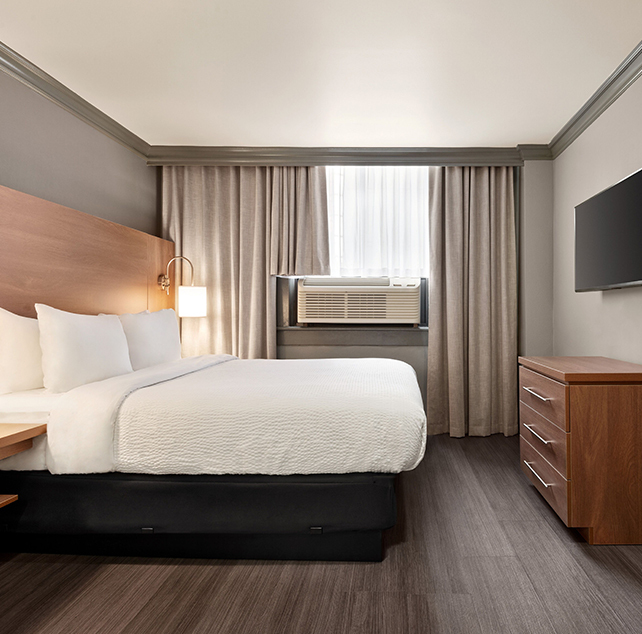 Our hotel offers 85 tastefully decorated, spacious guest rooms and suites and thoughtful amenities to make your stay with us comfortable and relaxing. 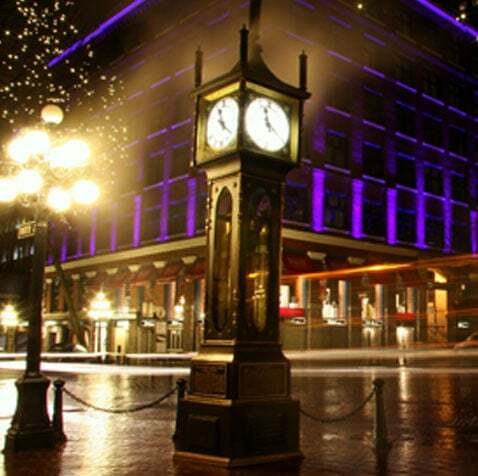 Our hotel is situated just minutes from Canada Place, the Vancouver Convention Centre, Waterfront Station and one of Vancouver's oldest and most historic neighbourhoods, Gastown. During your stay with us, you can visit top attractions such as the Vancouver Aquarium, Stanley Park, Granville Island and the Vancouver Art Gallery, just minutes from our property. For a hot meal or refreshing drink, our hotel offers on-site dining as well as an on-site bar and lounge. Our spacious meeting room and fully equipped business centre offers guests the opportunity to successfully achieve their business goals during their stay with us. We are proud to offer an exceptional hospitality experience and affordable price to all of our guests with each and every visit. Feel free to contact us at any time of the day. Our 24-hour professional and friendly front desk staff is always available to assist you with any questions you may have before, during and after your stay. Be our guest at our hotel in Vancouver, BC and book your stay with us online today to receive our best availability and rates. Relax and unwind where history has been made. Our hotel prides itself on it’s old-world charm, with original wood flooring, heritage district location and a rich history that dates back to 1918. Our downtown Vancouver accommodations are clean, bright and provide ultimate relaxation. We offer well-appointed rooms and suites with thoughtful amenities that will make your stay in VAncouver, BC a successful one. Dine in or stop by for drinks in our on-site restaurant or bar, utilize our meeting room and business centre and enjoy complimentary high-speed wireless Internet. 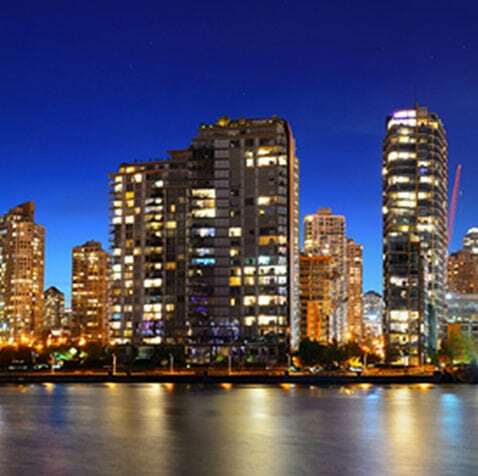 When you are looking for Vancouver, BC hotels with convenient services, we’ve got you covered. With a prime downtown Vancouver location, just minutes from historic Gastown, you’ll be within minutes of Canada Place, Waterfront Station, Coal Harbour, Pacific Centre Mall and Stanley Park. If you are looking for Vancouver airport hotels, our hotel is only a 30-minute drive from Vancouver International Airport. 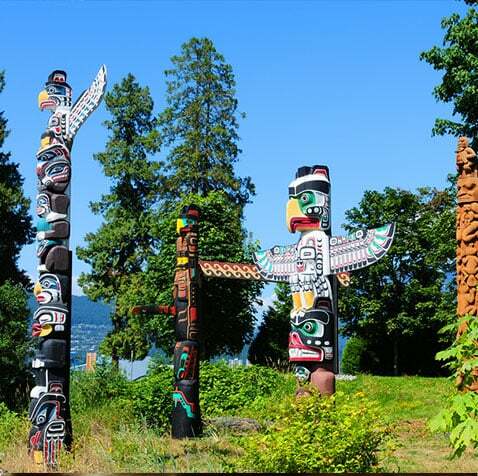 Come explore the jewel of Vancouver - just steps from downtown! 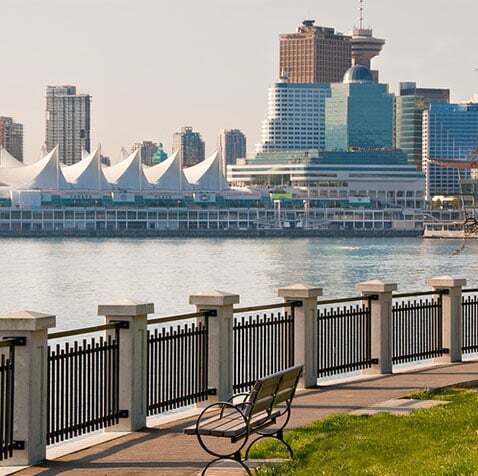 Walk, run or cycle the 10 km long seawall that circles the perimeter of Stanley Park or stop at one of the many beaches for a fun day by the water. Vancouver’s oldest neighbourhood, founded in 1867, still retains much of it’s original charm. Just steps from our hotel, Gastown is home to unique stores, one-of-a kind shopping and some of the city’s best restaurants. Downtown Vancouver pretty much has it all! From Davie Village, home of Vancouver’s Pride Parade, to shopping on Robson, there’s always something to do downtown. 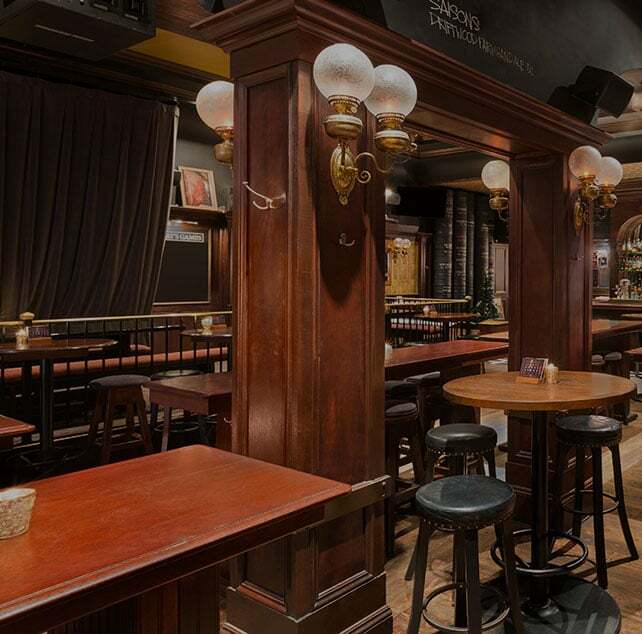 Take a stroll down tree lined streets in Yaletown or take in the Vancouver nightlife on Granville Street! Wander along the extension of the Stanley Park seawall and make your way to Jack Poole Plaza, home of the Olympic fame from the 2010 Olympics and Paralympics in Vancouver or visit Canada Place and explore Canada at Fly Over Canada, a 4D Tour of the country!